Text messaging marketing involves sending text messages to mobile users who have opted-in to your mobile subscriber list. The basic premise is to remind consumers your company exists, which leads to repeat sales and customer loyalty. Mobile phone users keep their phones near them at all times and they love to receive and send text messages. The key to text messaging marketing involves providing a discount, a free item, or something else that the consumer finds valuable. 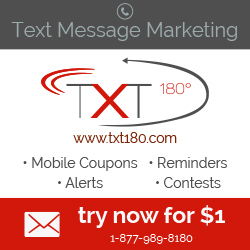 But how does text message marketing actually help small business owners? Text message marketing is a great way to establish an instant connection with your customers and potential customers. By getting consumers to opt-in to your mobile list, you now have permission to communicate with them via text messages to offer coupons, content, and information. By opting-in to your list, consumers are giving you their permission to stay in touch. Studies show that many consumers want to receive special offers on their mobile devices from the businesses they like doing business with. Just make sure your messages are useful, timely, and valuable in order to keep unsubscribes down. Consumers today love to text! 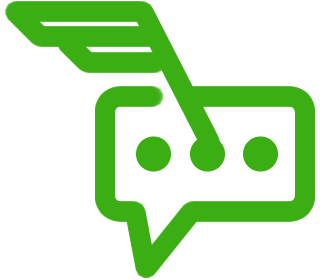 Approximately 95% of text messages are opened and read; better yet, these messages are instantly delivered. They are also quick, concise, and easy to read. So they’re the perfect way to really get in front of your target audience. Text messages do not have to be long to achieve their desired result. In fact, your messages can only contain 160 characters if you want to fit everything within one text message. Furthermore, consumers today like to receive short, quick messages due to their busy lives – so keep them short and simple for the best results. Text messaging is quick, easy, and concise. Even better, it is also cost-effective compared to direct mail since no paper or postage costs are used in their transmission. Furthermore, the cost to send text messages is very minimal – in fact, it’s just a fraction of traditional marketing costs. As you can see, text message marketing is a great way to grow your local business and keep your customers coming back to do business with you. This entry was posted in Blog and tagged autoresponder sms, Group Text Messaging, text message autoresponder, Text Messaging Marketing, Why Text Message Marketing. Bookmark the permalink.